September, the 6th, 2014 - Lyrik und Prosa von Margret Silvester! It's the day. 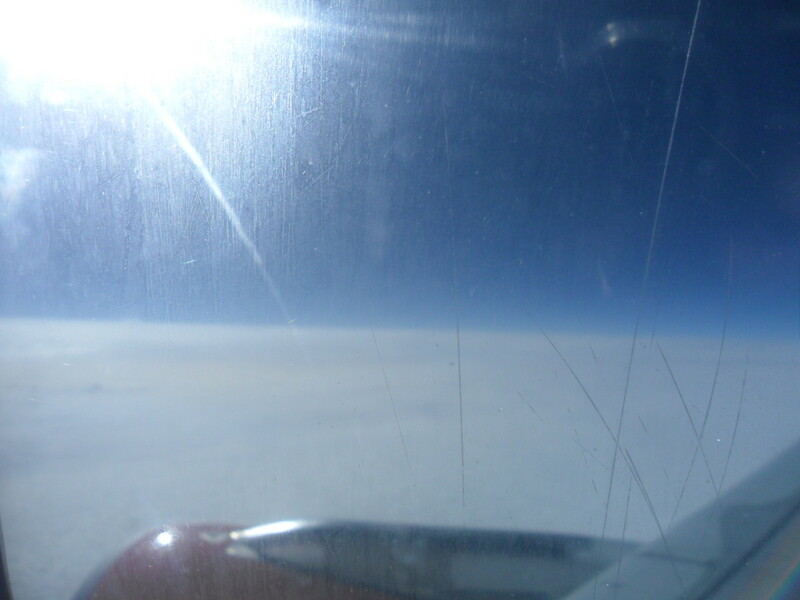 Flight back to Hamburg – that means back to the ordinary. Back to beloved cats and others. Leaving other beloved behind. Why can we never ever gather in life? Departure shall take place at 8.10 a.m. Better be there in time. What means two hours earlier for the check in. So up at 4 in the morning. Alarmclock itself is somehow tired and does just little peaps-peaps-peaps, no more. A quick tea, which I appreciate a lot for it is served with care from Heidi, a sandwich, last patting for the dogs. The cats are not here. The time before saying good bye seems to swallow the words. Nothing seems to be any more important than the matter of have to go. It is still dark outside. The eastern light not even shows on the horizon. Fastways are busy even on a saturday. Then comes the sign GATWICK – no more returns,. Just to be off. The queuing up takes place and the last words, hugs and little tears for leaving beloved behind. It all passes by very quick, mostly like in the hurry, but not the queuing itself. It's all very disciplined. And it goes quite fast. No hectic coming round. Then all is done. The case has its sign to go where and I find my way to the gates. Hamburg will be shown on 7.25 – a matter of internet, as they will tell later on. So there is time to have a coffee and maybe a sandwhich. To get to places of paradise you have to walk mostly ½ a mile through all kinds of stuff you don't really need. Like there is parfums, aftershaves, deos and a lot of other stuff saying it is customfree ware. But I can see it is more expensive than in a normal shop. After walking and sniffing through this „Kramladen“ I finally get to a bistro. The advertisment tells me that they sell the best coffee and the most delicious sandwhiches of whole London. London? Ain't we at Gatwick? Well, never mind. It does belong to the surrounding of course for if you look it up in Internet they will tell you that GATWICK is the second airport of London. When it's my turn I aks for a plain cheese sandwhich. They haven't got any plain. Wouldn't it be too normal? Plain cheese? As far as I can see it they have everything else but no sandwhiches. They are massiv breadrolls with all kinds of stuff on them, including lettuce leaves which have seen better times. The bread is dried out, so I decide to take a corissant instead. And a cup of filter coffee. With much milk, please. As ordered they serve it on a tray and I go of to find a free place. Napsack and coat and tray reach savely the place. When i taste the coffee it is really bitter. And not enough milk, just a little jar. But there is no chance for going back to the desk unless I leave my luggage alone. No good. So I let the coffee be coffee and just finish the croissant which is okay. Still time to go for the telling which gate we have to use. It comes up to be Gate 20. Now you get the feeling of what a big airport is. They have inbetween a lot of those running ways what is really good. So we are there in no time. At gate 20. I'm the FIRST. Here comes Her Royal Highness Maggie. Showing my identidy card and my boarding pass (the second named for the 4th time as I remember, because you have to show it by passing the first and the second control and when you buy things at the duty free shops – I bought chewing gum and that croissant - ) and then at last I'm through and may take seat for the final waiting to go onto the airplane. I need a toilet but there isn't any. I can't go back somewhere, I have to wait until we can enter the plane. Half'n hour to go. Round about. Because I have a ticket for „rapid boarding“ I'm the first again. Here comes Her royal.... you know? I feel grate. On board I feel quite „at home“ because I've booked just the very same place like on the flight to England. 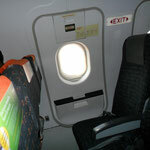 The seat at the window gives sight free to a little bit of the wing and the turbine on right hand side. I give the wing a closer look and it looks a bit like patchworks at some places. Don't think too much about that, it won't help really. We take our seats and the machines start. Fasten the safety belts as usual and the stewardess, named Isabel (you ask how I could know? We are all introduced to the whole team), gives me instructions for open the emergency door in case of emergency. My place is just there in the middel of the plane. I tell her that I know and she is so pleased that for once she's got somebody on the seat who does not need a lot of instructions – I'm the passenger who flies every day – of course – she might think that. The seat next to the emergency is a little more narrow than the others and for that it is fantastic, that the middle seat is free so I can fill out more space. Plane follows the runway and then we stop, waiting for planes to come down. I think that it is a good idea – the waiting. Then we roll a little more and give the way free again for some planes which are more earlier to take of. I look through the window to find out if I can see the building and maybe you, but I know you have left and so I just pretend seeing you and give you a little handwave. And then it's our turn to go off. I know that Julia told me the dangerous parts on the flight are the tanking offs and landings, but nevertheless I like this fast going on ground, that lift off. It takes no time and we are up in the air. Turning a little and down below – before we reach the clouds and can't see anymore of the landscape – I see those rolling hills and my longing to go back straight away is hurting. The usual flight business takes place. They offer drinks and sandwiches and souvenirs – a lot of stuff you don't really need – but it keeps the passengers think about other things if they are afraid on the plane. I'm not. The time I'm on the flight, no bad nervs. For what can I do? We've lost our crew (doesn't matter for what matter) and who is on board and able to fly? What a luck we've got!!! But everything goes fine. I order a cheese sandwhich and they haven't got one, again. Where have all those nice english cheesesandwhiches got to? I wonder. What they have is a Brezel with cheese. Well, I take that one then. It costs 4,50 engl. pound (my typewriter misses that sign for engl. Pounds). But it is fresh. Wrapped up in cellophan paper and has got a longlasting date on it. No chance to compare with Tim's bread though, not at all. In the meantime we are up over the clouds and for that not a clue what is down below them. 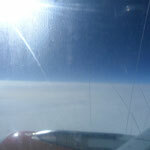 A beautiful blue sky and the clouds pretent to be a snowfield with even footprints on it. As wide as you can see – white. Glittering white. Just imagine walking on it. My feet feel a tingeling sensation by the thought. It reminds me when I was once standing on the Mountain Teide on Tenerif island. Looking down onto the mostly same kind of „ground“ like now – I was near to jump and let me fall into this softness. 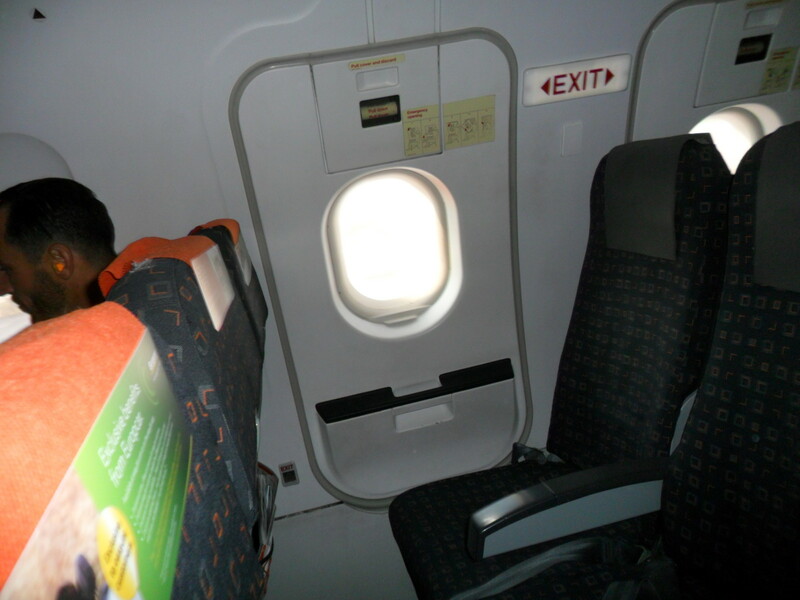 Then we had to fasten our belts after ½ hour flight because the pilot said there are turbulences to come and we sat down (who ever was up by that time). Big clouds changing the sight outside. Like mountains piled up beside the plane and there was a little lightning. Made a change after this smooth going over a „snowfield“, but only short, Then the sky brightend up again and we where – as the Captn said – right over Amsterdam. The last offers for souvenirs went round and also a collection for unicef (money they need for neccessary vaccinations for children in poor lands). They asked for the small money you've got left – no matter which currency it was. Good thing to do. But I'm afraid a lot of people didn't put anything in the collection bag. Not late after that we heard that we are approaching Hamburg. Already? That was fast. The temperature as we were told would be 25 – 27 °C during daytime with – mightbe – a little rain in the afternoon. The landing was smooth and the passing through the controll stations was very fast – comparing with my one in England when I came to Gatwick. But then we had to wait for at least half an hour for the luggage. No matter what – you always have to wait for something at the airports. That gives you time to look around and to make a phonecall home, telling you are on your way. A very tired Rüdiger answered the phone and I said I'll be there in halv'n hours time. So fast? He asked. Well, maybe three quarters of'n hour. I didn't want to take a cab. It's so simple to go by pupblic traffic. And it was. For the first time I used the fast train to get to an underground station (only one station to go) and then by underground three stations, and by bus one again. Then I was home and found a still very tired Rüdiger, yawning and asking if I would like to have a coffee. I decided to and unpacked my case – only for the presents I brought with me. My cats were a little surprised I think. Snorri dashed off in case it is a stranger, but Rauke and Haithu where snuggling together on the bench outside. Purring loudly when I went to hug them. So there I was – back again and coming back from the extra- to the ordinary. Had a look around the garden, thinking I must get Heidi's advise when I'm going to cut down the rotten lot. Phoned Heidi and fell back into all things they happend in this week of pleasure and excitement, moments of thoughts to the past and starting an internal working up. Was working out. Maybe a little for the fact that I was sleeping in the bedroom which also long time ago had a guest called Mahatma Gandhi. But more for the lovely ones I had the luck to be with. Humans and animals – both.